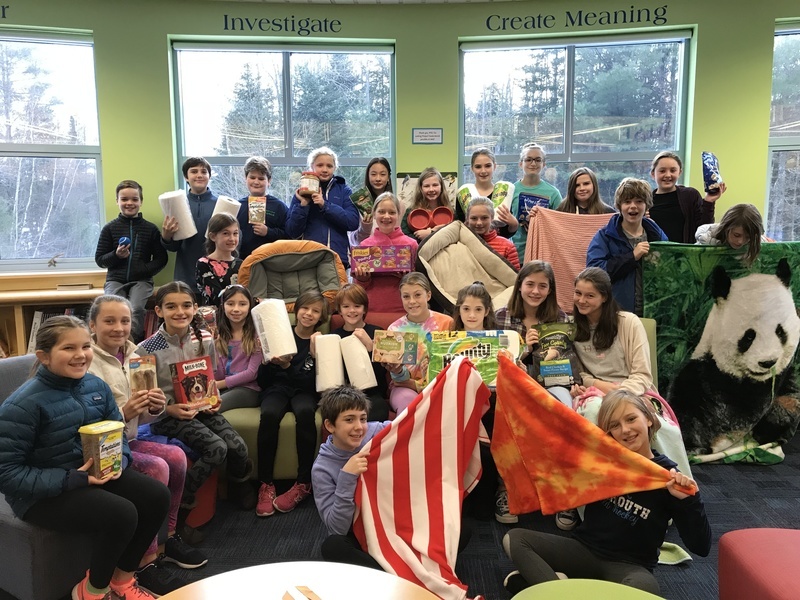 The HMS Student Leadership Team, under the expert guidance of advisor, Nini Emmons, held an an animal Care & Supplies drive to benefit the Coastal/Midcoast Humane Society. The students collected cat and dog food, animal treats and toys, blankets, collars and leashes to support the humane society's work. The students also raised $388.00 dollars, which was donated in part to the Emergency Animal Rescue Fund, which helps animals in areas devastated by recent hurricanes. We recognize these students for their efforts to support this important cause and give back to their community!